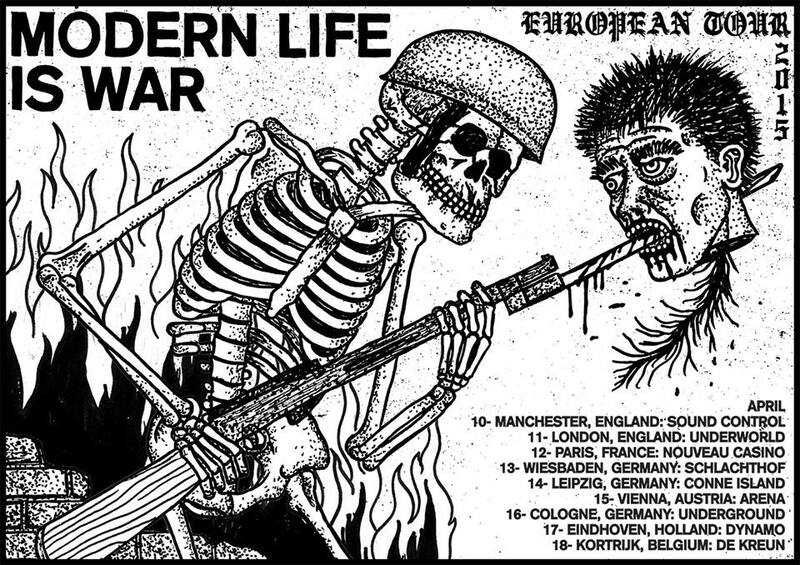 Marshalltown, IA’s heavyweights Modern Life Is War have announced their return to European grounds in April 2015. They’ll be touring for nine days, covering England, France, Germany, Austria, the Netherlands and Belgium. Get your tickets now! Tags: Europe, European Tour, Facebook, Fever Hunting, Modern Life Is War, Tour, Twitter. Bookmark the permalink.